We are working on adding some t-shirts and other swag in the near future. In the meantime you can find links for downloading MP3s or ordering physical CDs with lyric booklets for the CDs and singles that are currently available. Thanks for supporting my music! 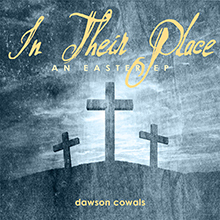 Dawson’s latest single is an acoustic lullaby with a mellow groove reminiscent of a Joshua Radin song performed by OneRepublic. Original love song written for Nate & Rayleigh Leavitt’s wedding that tells their story in a quirky synthpop fashion. Think Owl City fights off a fire breathing dragon and rescues the lonely princess. 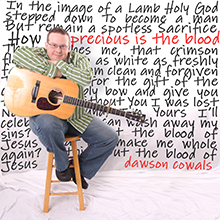 A new arrangement of the classic hymn, “Turn Your Eyes Upon Jesus,” with a twist of smooth jazz and a dash of Dawson’s signature acoustic guitar style, featuring haunting harmonies and mellow upright bass. My 12th CD is a fresh and modern collection of love & wedding songs with catchy melodies and a tight band backing them up. Think Knopfler and Nick Drake fronting the Dave Matthews Band.